CLAREMONT has played just two games since we last met them and they’ve won them both. The Tigers are an excellent side when they’re playing well so we expect a tough contest at Claremont Oval on Saturday. Andrew Strijk will return after a calf complaint last week but Steve Potente has tweaked his groin so he’s only a 50 per cent chance of suiting up. Our first half against South Fremantle was very ordinary in the 16.15 (111) to 10.4 (64) loss at Arena Joondalup last Saturday. Maybe the Bulldogs took their foot off the pedal in the second half – it’s tough to know – but it was positive to outscore them after half-time. 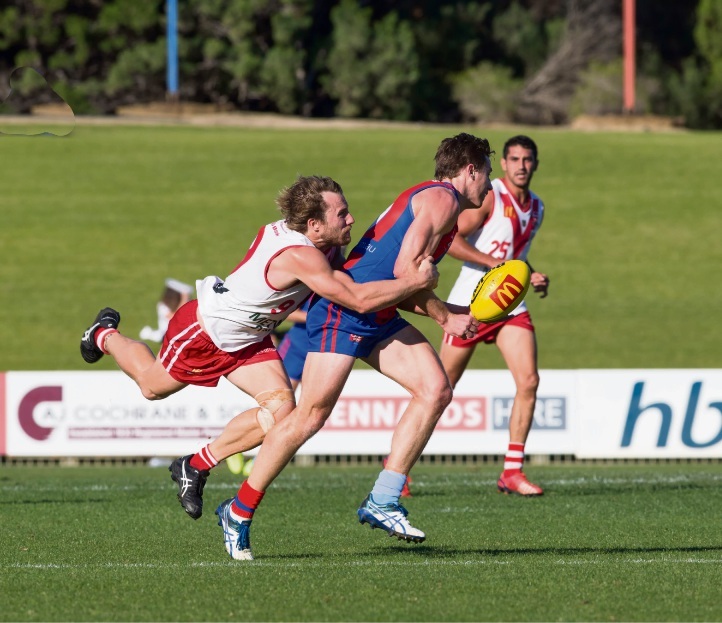 We haven’t beaten South Fremantle for a while and there is probably a mental aspect to it. They play a style of football that is quite different to our own. We have a better record against Subiaco and Peel – two other strong teams of recent seasons – and they play a similar brand to us. The Bulldogs are more of an outside running side than what we are. They’ve got talented players who get the ball to the outside and are very creative when it gets there. They’re good in a completely different way to how Subiaco is good. My philosophy is that if we stick to our game style and maintain it at a high level, it’s strong enough to win us a game on any given day. That philosophy clearly doesn’t work against Souths. So we’ve gone back to the drawing board. We showed glimpses of improvement on Saturday but glimpses aren’t enough.